Even if you're taking part in a business meeting with people from different points across the globe, you can still use a PowerPoint presentation to help get your message across. But just because your presentation is a virtual presentation, it doesn't get you off the hook from making it interesting or easy to understand. The following are three tips to help you improve your PowerPoint presentations. They are intended for use with virtual presentations, but most can be applied to regular presentations as well. One of the biggest mistakes people make with their PowerPoint slides is to overload them with words or visuals to the point that it’s almost impossible to follow along. To avoid that problem, keep your slides simple, only using images when they actually add to the content. Leave lots of white space in case people want to print out your slides and make notes on them. When you're making a virtual presentation, it's also important to think about design features like colors and fonts. Basic fonts like Arial and Calibri are easier to read than say, Book Antiqua. Also, if you choose a common font, it's more likely that this font will show up properly on everybody's screen, regardless of what sort of technology they're using. And with colors, remember that even though it might seem boring sometimes, a light background color with a dark text is always easiest to read. Even though your audience isn't in the room with you, you can still make the presentation interactive. Whether it's by video chat, text message, or even over the phone, find ways to ask questions and invite feedback from your audience. Nobody likes to just sit and listen to someone else talk for an hour - you need to make sure that your audience is involved and engaged in what you are talking about. A PowerPoint presentation should not be just be a bunch of facts and figures on a screen with a few pieces of clip art thrown in to spice them up. When you're making a presentation, what you're really doing is telling a story, and your PowerPoint slides should reflect that. Every story has a beginning, middle, and end, as well as a climax, perhaps some mystery and intrigue, and of course a good hook. What is it about your presentation that makes it special? Whatever it is, that's your hook. Start with that, even if it doesn't make sense chronologically. People need a reason to pay attention to your story so they don't start thinking about what's for dinner instead. Once you've hooked your audience, then you can develop your story, build up to a climax, and hopefully resolve with a happy ending. If you take some time to improve your presentations, hopefully you won't hear any more groans and yawns next time the word PowerPoint is mentioned. These presentations can and should be fun, engaging, and stimulating for you as well as your virtual audience. There are a great many issues that come with starting up a business, including: designing a workflow schedule, hiring and training staff, creating policy as well as possibly finding and renting affordable virtual office space. As with any startup company, your brand tone is developed from day one, whether this is the design and colour scheme of your website or the design of your logo. When creating an integrated campaign across the many platforms such as print, Internet and eBlasts, your logo will be featured first and foremost and will speak volumes before prospective clients read further about your products or services. When designing the look in relation to the tone of your company, first assemble your print and digital marketing teams as well as your sales team, production team, designers and even your IT team. As a whole, discuss the imagery that best suits your brand and how it will impact your unique customer base. Your customers have a particular persona and will respond uniquely to the colours and feel of your website and marketing material. If your company is attempting to engage with a demographic of young men between the ages of 18-35, the psychographic data should include an understanding of what images this group responds to. They may favour a sleeker, digital look over an illustration or hand drawn logo. If you're a small business engaged with the selling and distribution of cupcakes, you may want to reconsider an all-black theme. Customers for this product are more likely to respond to a lighter, more edible theme. On the other hand, professional services like insurance companies profit from using a more conservative look. But again, this can vary depending on your target market's buyer's persona. In each case, avoid a logo that is overly complicated and confusing and make sure that it reflects the product or service you offer. Many designers may attempt to sway you due to their own desires to create an award-winning logo, but this won't help your brand tone in the long run. Keep it neat, simple and recognizable. Think golden arches and the Nike swoosh. With only a few brush strokes, they have established themselves across international borders and cultures. Never promise something that you can't deliver. Your logo is a promise of what lies beyond it. Traditionally, companies leave their logos untouched for decades, altering only a few key elements such as the font and the arrangement of the graphics. The Ford motor company shows how a century-old company shifts with the times but remains consistent in terms of their brand tone. MacDonald's, on the other hand, added a small smile to their logo a little while back but still never touched their signature look. When you choose your logo, maintain its presence across every mode of marketing communication, as well as your company email signatures. Spend your time on the valuable task of defining and visualizing your brand tone and less time on accessing an affordable virtual office. Browse our site to find out how easy and cost effective using a virtual office can be regardless of your company or your brand. We can help you find a location that will help you remain true to your brand tone. Creating a logo is the first step towards giving your company a smart and professional touch. Having a virtual office can provide you the space to not only appear professional, but also to conduct your daily business in a professional manner. And because a virtual office is cost effective, this allows you to divert funds away from office expenditures and towards design and creative consultants who can enhance your overall brand image. 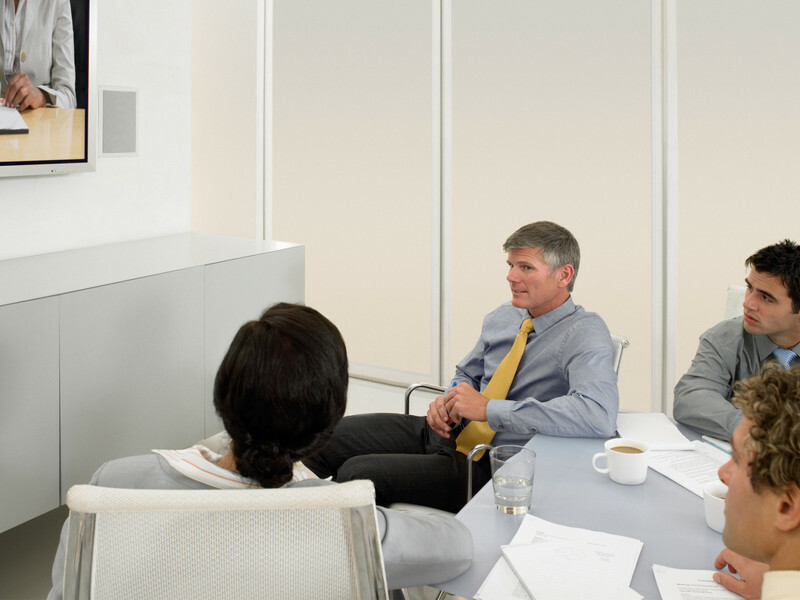 Video conferencing is one of the biggest ways that technological advancements have changed the corporate world. While meetings used to be face-to-face and required traveling, programs like Skype, Nefsis and IVisit are quickly making this kind of meeting method obsolete. Meetings can now be held absolutely everywhere and at any time, saving money and time for all concerned. In order to make the most of this revolutionary technology, you need to be sure that you are using it appropriately and paying close attention to the rules of video conferencing etiquette. The absolute last thing you want is to spend the entire meeting with everyone involved enjoying a fine view of the inside of your nose. The position of the camera or laptop you are using needs to be ideal. Remember to follow the 'elbow and wrist' rule if you are using a laptop. When you stretch out your arms, the laptop screen should be between your elbows and wrists for an optimum view. You may also want to consider raising the laptop slightly with books so that the angle is even more flattering. Before the meeting begins, ensure that your camera and laptop are well positioned so you don't take up anyone else's time with unnecessary fiddling. Don't put your messy office or home on display. The only thing you should be showcasing is you, and certainly not a backdrop of piled books, squawking parakeets, unwashed laundry or empty beer cans. Again, prior to the meeting, spend a few minutes cleaning up. Reduce noise as much as possible and arrange the lighting so that you are clearly visible. You may even want to invest in a few inexpensive lamps in order to find a professional lighting. Not having a face-to-face experience means it can be harder to read others during the meeting, but if you ensure that your environment is well lit, others should have no trouble understanding what you mean. Even though you are not in the office, you still need to ensure that you look as though you are. It may be tempting to dress casually, but holding a meeting in your pajamas is simply not acceptable, even if you are Working from home. Style your hair, throw on a little makeup if you like, and choose colors that are neutral or muted. Vibrant clothes can be very distracting and the camera may have trouble registering complicated patterns. The last thing you want is to be the outlandishly dressed member that distracts the rest throughout the entire meeting. In 2011, a survey revealed that 76 percent of all human resource professionals considered a breach of technology etiquette to have a real impact on positive impressions in business. However, with the constant influx of new technologies, apps, and devices, it isn't always easy to understand how the systems work, let alone be mindful of etiquette. Considering the negative side effects that a tech blunder can have, it is worth keeping on top of what is considered polite – and what is unacceptable - in our constantly shifting business environment. 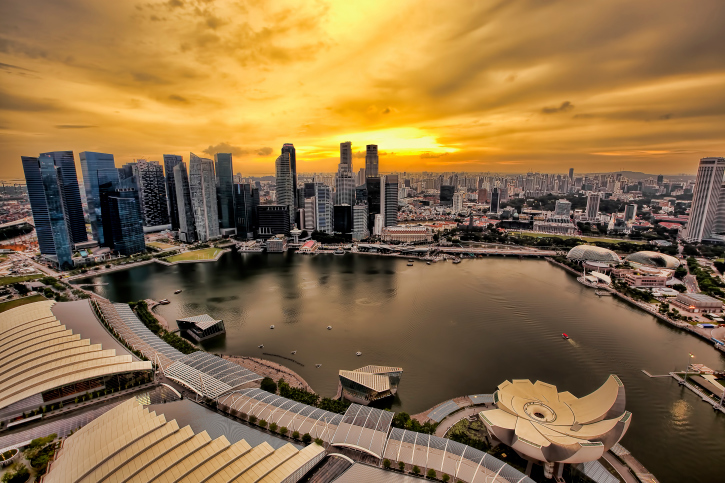 Singapore is a place where many startups choose to launch their business projects, and is said to be one of the most ideal places for offering a high level of ease in doing business. Several different reasons contribute to this assertion, including the government policies that regulate businesses, as well as the strategic physical location of Singapore. Suddenly getting to and from other areas of interest to your business can become much easier. Perhaps, however, your business or startup doesn't yet require a full office and you'd like to take a look at other options. If this is the case, a virtual office might be just the solution. Take a look at these amazing virtual offices in Singapore. A geographical area of Singapore that is of particular interest to many businesses, as well as consumers in search of trustworthy and reliable companies, is Raffles Place. Here, you'll find some of Singapore's tallest buildings as well as many other landmarks that bring in tourists and locals alike. Some notable buildings at Raffles Place include the Fullerton Hotel, the Merlion, and the Esplanade Theatre, which is a durian shaped centre for the arts. This is also where the stock exchange of Singapore is situated, which speaks volumes for the viability of Raffles Place to hold the address of your business. A business hub on Battery Road offers virtual office space for your business, and is ideally situated right in the centre of Raffles Place. With serviced office space for lease, as well as all of the virtual office opportunities your business could possibly need, this is an ideal building to consider. All offices in the building are fully furnished and have air conditioning, as well as expansive views of the city's buildings and nearby harbour. 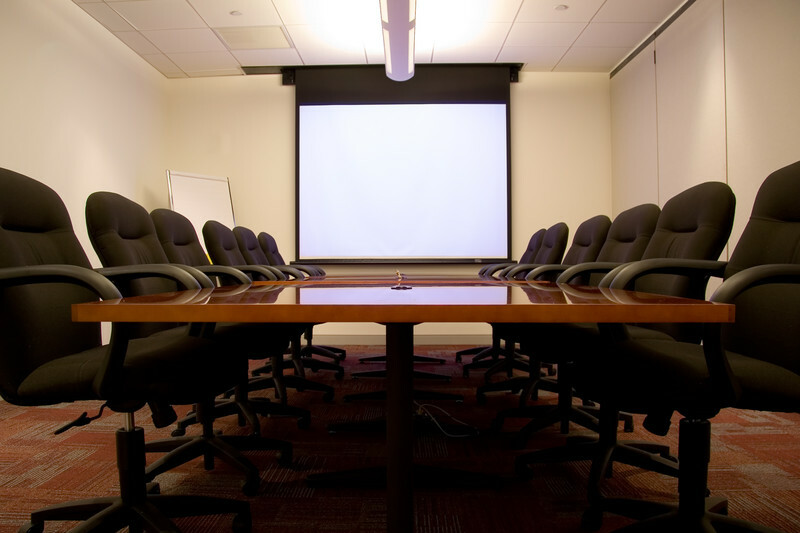 Meeting rooms are offered for your use at your own leisure, as well as professional secretarial services. High speed Internet will keep you and your business connected at all times, and the convenient location will surely be the best inspiration for success. Situated right on the edge of Raffles Place is another virtual office space on Robinson Road. Virtual office services offered here include a registered address as well as mail forwarding, phone answering and fax services. Facilities for holding your business meetings are also available here, and with a quick walk to Raffles Place as well as the surrounding amenities in the business hub of Singapore, you'll find convenience in volumes. Regardless of what your business is, you'll likely find that both you and your business can benefit from the services of a virtual office. Delegating certain tasks while achieving a certain level of professionalism is always beneficial, and even more so when you have an address at Raffles Place in Singapore. Take full advantage of the reputation of this location, and opt for a Raffles Place virtual office. Communicating across time zones can result in expensive bills because of long distance charges. Due to the explosion of apps that allow people to connect over the Internet for free, reducing communication costs is easier than ever. Here are some free apps that let users make calls, send messages, and communicate for free across time zones. Viber is a communication app that lets users contact each other over different platforms, including iOS, Android, Windows, and desktop computers. As long as an Internet connection is present, users can send texts, share photo messages, and make voice calls to other Viber users, free of charge. Viber claims to offer the best quality mobile calls over 3G and Wi-Fi networks. The app makes it easy for new users to start by refraining from asking users to register, send invites, or create aliases. Viber integrates contact lists during installation, automatically populating the app with vital contact information. One of the most popular ways to communicate for free across time zones is through Skype. This app offers free, high-quality video calls between Skype users across the world. It can also be used to send free instant messages. Skype is available across platforms such as Apple, Android, Windows, and Linux operating systems. One of the biggest draws of Skype is the quality of communication experienced when making a face-to-face call. Using Skype is a great way to get a feel for a potential candidate during long-distance job interviews. It's also easier to express emotions through a video call when catching up with the family while overseas. Unlike most apps that provide free communication over data networks, Mo+ does not require another person to download the app in order to connect. Mo+ behaves the same as a regular phone number, allowing free calls and text messages to Canadian and United States phone numbers, in addition to other Mo+ users. One way to get set up is to obtain a free phone number through Google services and use the number to make and receive calls and messages through Mo+. 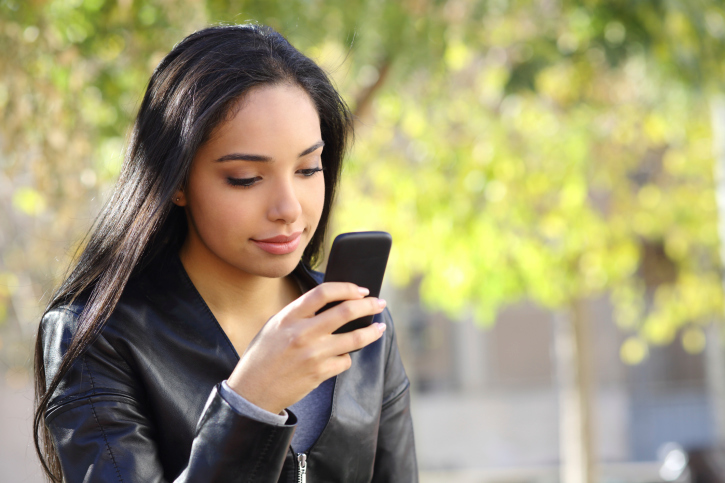 The app also allows users to take advantage of a walkie-talkie feature and send multimedia messages. With the recent acquisition of WhatsApp, a popular messaging service with a huge user base, Facebook offers two different methods of communicating for free using an internet connection. First time users of WhatsApp enjoy free messaging for a year before being asked to pay a fee. Facebook messenger takes advantage of its huge user base by allowing people to send free messages through its ubiquitous website. There are a variety of ways to reduce operating costs, one of which is taking advantage of free apps that connect people for free around the world. For other great cost saving ideas, visit us at YourCityOffice.com. We can provide you with a variety of solutions for a virtual office. Regardless of whether a business is a start-up or an established firm, having a cost-effective, comfortable place to work promotes greater productivity. Miami is situated on the Atlantic coast, and while it is a popular vacation spot, it is also a fantastic place to do business. Miami is only the 42nd largest city in the USA, yet it is known as a financial, commercial, and international trading hub. The city is also the 4th largest urban area in the USA. Read on for more information on Miami, and why it is a great city to serve as ground zero for your virtual office. Miami is bustling, and businesses of all kinds flourish in this city. While the city is a national leader in finance and a major trading center, it is also known for its success in commerce, media, and entertainment. In fact, Miami was ranked the 7th strongest city in the USA for finance, commerce and culture, and33rd strongest in the world. In addition to this, the World Cities Study Group's inventory ranked Miami as an "Alpha-World" city. 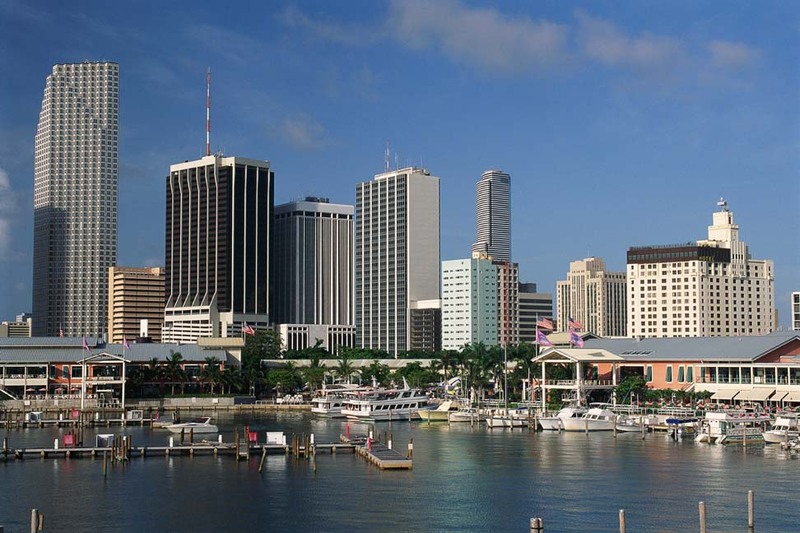 While downtown Miami is known for its concentration of international banks and large corporations, Miami is just as successful in TV production. Miami has successfully produced a range of television shows, including Spanish language shows. Due to the variety of businesses in the city and the general economic strength, any business would do well to set up a virtual office here. Miami isn't just a great place to work and do business - it's also an enjoyable place to live. With a tropical monsoon climate, Miami experiences warm, comfortable winters and equatorial-like summers. A recent study conducted by UBS found that Miami is the richest city in the USA; it's stable and comfortable. Miami is also a sustainable place to live. In 2008, Forbes labeled Miami the cleanest city in America. The city enjoys good air quality all year, there are vast green spaces and parks, and a city-wide recycling program has been implemented. Miami is also known as a fun city with lots of relaxing activities to enjoy. This city is home to a variety of entertainment venues: theaters, art museums, history museums, science museums and a variety of parks can all be found in Miami. Performing arts is also a major attraction in the city, and a new center has recently been built. One of the huge appeals of Miami is the proximity to great beaches. Sandy beaches are just a short walk away, as are the cruise ship terminals. If you're looking to set up your business in a virtual office, yet are unsure where you want your virtual office to be, you should consider Miami. Not only is this a great city to do business in, but it's also a great city to live in. In Miami, you will be able to enjoy your time working, but you'll also enjoy your free time. Choosing a virtual office means you will receive administrative support, access to meeting rooms when you need them, as well as telephone answering and forwarding services. A virtual office in Miami can keep your business alive and growing. In the business world, it's important to always have leads. That's how you generate your revenue and keep yourself in business. To keep the sales funnel full, it's imperative to rely on more than just referrals. You clearly need leads if you want to keep making money instead of just coasting along or even worse. You can't depend solely on your referrals for both leads and repeated sales. The good news is that you don't need a sizable budget to improve your leads and keep the sales funnel full. It's imperative that you devise some form of process for your business to get leads during any exchange with a possible customer. Teach your workers about this process and highlight how significant it is for future business success and expansion. If you're searching for direct responses, you must ask the proper questions. Collect relevant information that empowers you to make decisions that result in good profits for the company. Come up with a web presence for your business; optimize your site! Services such as Google Places are great for obtaining listing and being found online. You can even use the Google keyword tool to find typical phrases that ordinary folks use to look for your products or services. It is also useful to you to search for and locate local bloggers that are already influential in your business niche. You can get the proper message to the proper individual by tracking their behavior. This means that you ought to monitor just who visits your business site, which web forms they end up filling out, which links they click on, and which emails they end up opening. You can effectively target both your message and offering via psychographics and demographics. Don't be afraid to highlight the benefits of your product or service to your customers. To give your business a boost, you should look into creating relationships with other businesses that provide complementary products and services. This is part of the tactic of building your business into theirs and theirs into yours. Make both your partner's offering and the capture of leads an integral aspect of the whole sales and delivery process. The secret to a strong partnership is to build up additional value for your customers. It's a well-known fact that local customers wish to somehow benefit their local community. When it is convenient for them to do so, local customers are going to buy local. They're also going to purchase local if they are well informed and already enjoy a good relationship with you. Once they are already your loyal customers, they will gladly even pay a little bit more for your product or service! These are your best lead generation tactics to keep your sales funnel full. Remember not to focus on just one of these tactics, but to try each one of them for the very best results. You can't make your business thrive and flourish on mere referrals alone, so work on your leads. There are many concerns when it comes to selecting the perfect location for your virtual office. Issues such as accessibility, location, and company branding drive business owners to take extra care where their virtual address is rooted. Where you exist is almost as important as how you do business, and your location will speak volumes about the prestige and professionalism you bring to your enterprise. Discover the advantages to your company's image when you select Frankfurt as your location for a virtual office. 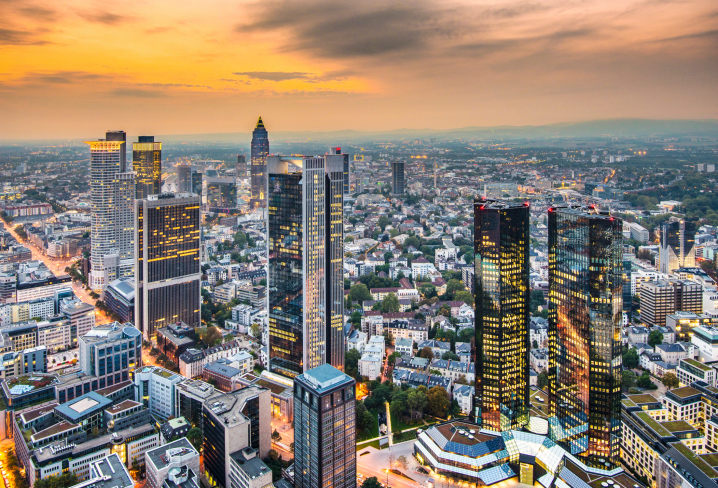 Frankfurt is quickly becoming a major European business and financial center of the continent with 5.52 million inhabitants and 365,000 companies, creating a workforce of nearly 2.9 million people. The environment is one of a city, flourishing under the influence of increased industry across the entire field, from small software developers to large industrial groups. As Frankfurt is also a multi-cultural mecca, the streets are filled with multilingual inhabitants who enjoy access to the largest airport in the European community. The main benefit of embedding your virtual office here is that you become part of a larger network of superb equals within the business community. Your address is prestigiously placed alongside the major players in the European market. Because of the high volume of high quality companies in the city, networking is greatly encouraged. Meet with senior decision-makers and get some face-time with global industry leaders at one of the city's many networking events. Each year, for example, IMEX hosts a three-day tradeshow where specialists gather to discuss and celebrate business, innovation and networking. It features 3,500 global exhibitors, including those from tourist boards, international hotel companies, technology providers, etc. You can also expect to rub elbows and be personally connected to over 15,000 senior decision-makers and CEOs from around the world. Because of the influx of companies, property, and office space, Frankfurt is understandably costly. But the benefits to locating your business there is that you will impress clients with your corporate headquarters. Our virtual office at Bockenheimer Landstrasse, for example, is situated directly in the heart of Frankfurt, on the 16th floor of a stunning property. It sports an amazing view, among other amenities. Tenants enjoy the use of fully furnished, modern office space that will give your company a significant worldwide presence. For a fraction of the cost of leasing a full-time space, your Frankfurt virtual office can provide the complete range of benefits. The spaces are adjacent to local attractions, shops and restaurants, and banks and hotels, as well as the beautiful Rothschild Park. In additions, you can be situated within minutes of Frankfurt's main train station so your visitors will always enjoy easy access to your headquarters. To look more closely at the Bockenheimer space or to learn more about the advantages of having a virtual office space in Frankfurt, visit us at https://www.yourcityoffice.com and click on the link for our selection of worldwide regional services. For about 5% of the cost of a traditional long-term rental or lease, you can have an address in the heart of the prestigious Frankfurt business district to promote your company to its highest status. If you're a small business owner who is getting ready to make the foray into a virtual office, hiring your first employee can be a big deal. Finding the right person for the job can make a huge difference in the future of your business. If you're not sure where to start in finding the candidate that will really work for you, here are some vital qualities to look for in your new hire. A virtual employee will be working on their own a good percentage of the time, so it's of utmost importance that they can determine their own schedule and have the ability to understand what must be done immediately and what can wait. A hire that can figure these things out will not only be a good expenditure for you, they may even be able to find ways to minimize your workload. While a virtual employee may just be answering phones and sending emails without having to meet anyone face to face, they'll still make the first impression that many clients will get of your business. Work experience may not be necessary for a potential hire that acts the professional part, but a previous position in a corporate atmosphere will tell you they’re a little more seasoned and have knowledge of the type of work environment you’re trying to create. Because your virtual employee will be spending their working life out of their own private office, it will be very important that they are capable of working on their own and are able to make sound decisions without having to check in with you. An independent person will not only take responsibility for their workload, but also save you some time, since you won't have to answer their questions too frequently. Since you'll likely be relying on your employee for a variety of tasks, it will be important that they can multitask and are able to complete all of their duties with efficiency and competence. Finding someone who can manage different types of works means you'll be able to count on them for a much broader swathe of duties, even if the going happens to get tough. Another thing you'll want to see in an employee, particularly if you won't be working with them every day, is someone who won't be a deer in the headlights. This doesn’t necessarily require experience. Your virtual employee should give off confidence and seem like the type of person who can manage pressure well, as only a reliable employee will enable your business to truly flourish. Hiring your first employee is an important first step in developing your business. While it can be a difficult choice, looking for someone who is confident and possesses independent initiative will likely give you a candidate you can rely on. If you're curious about a virtual office and are interested in more information, you can visit us at www.yourcityoffice.com to learn more. In the years following an economic recession, owning a startup business can be precarious. The market is fickle, and revenue sources that existed yesterday may dry up tomorrow. The "sure thing" is now in the past. Take heart, entrepreneurs, for all is not lost. A sluggish economy is a great opportunity to trim the fat and make your operation run more efficiently. The Lean Startup mentality can help your business cut costs and meet profit targets. 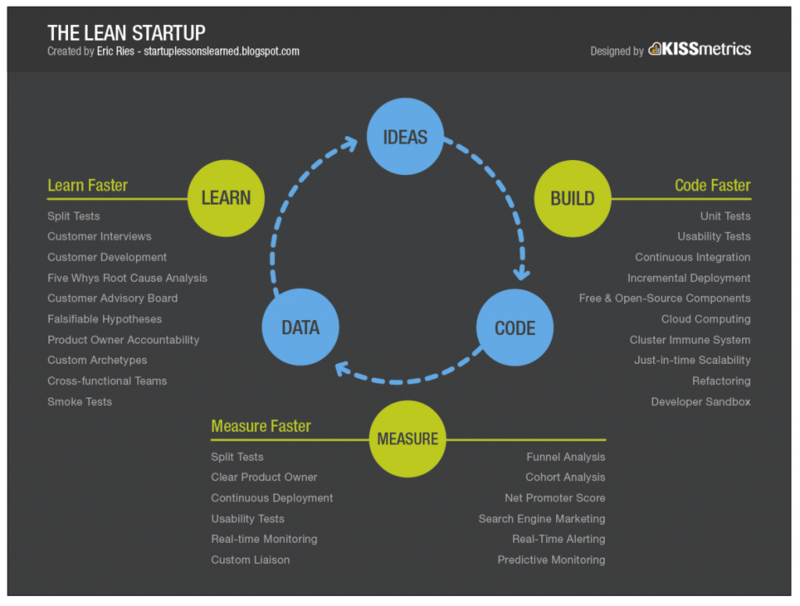 What Is the Lean Startup Mentality? The Lean Startup mentality is a business strategy whereby entrepreneurs briefly narrow their focus and zero in on details. A company using the Lean Startup mentality will rotate product lines frequently in order to bring in new customers. The Lean Startup approach encourages a business to rapidly try multiple approaches in order to see what products and strategies work. It is founded on several core principles: the idea that anyone could be the next great entrepreneur, regardless of who or where they are; the importance of mentorship and input from backers, partners, and investors; an emphasis on learning how to run a business rather than how to create a product; a new accounting system that counts achievements rather than money; and the ability to measure initial results and learn from them. The Lean Startup mentality is about building a business that can weather any economic storm, and learning how to come up with a winning game plan. Rapid testing of new products is a core principle - the less time you spend trying to figure out why something doesn't work, the more time you will have to market a product that does work. The Lean Startup mentality doesn't just have to be for startups. Established small businesses can make use of this approach to maximize revenue and find great business strategies. To apply the Lean Startup mentality, first review your corporate vision. Lean startups regularly test their corporate vision to see how well it paints a picture of reality. They make use of market analytics to identify their unrealistic expectations, and invest more time and effort on what has already shown returns. Lean startups also have a long-term view of profitability. Forget about profit in the short-term. Drill down and focus on your products, your model, and your approach. Learn as much as you can about the people who are buying your products. For example, why did they buy your product? How much money did it cost to create the product? How much did the customer spend to get the product? Focus on product marketing and identify niches in your current customers' lives where you could create a new product to meet a need. Lean startups practice validated learning. They identify an objective (for instance, discovering if a product is in demand), quantify a result that would mean the objective has been met (100 sales in a month means the demand is present), attempt to meet the objective (market the product to their target audience), analyze the data (did the audience have a need for the product), and improve upon their idea based on the results (why did or didn't the product meet the audience's needs?) By applying this learning method, startups are able to evaluate what worked and why, then replicate it. The Lean Startup mentality can be a great tool for any business. The key is to be open to changing your approach when you receive poor results. The Lean Startup strategy embraces failure as an integral part of the learning process; after all, the best way to improve upon a product is to change the components that aren't working. By making use of the Lean Startup approach, business owners can learn how to make their operation run more efficiently - and that means a healthier bottom line. 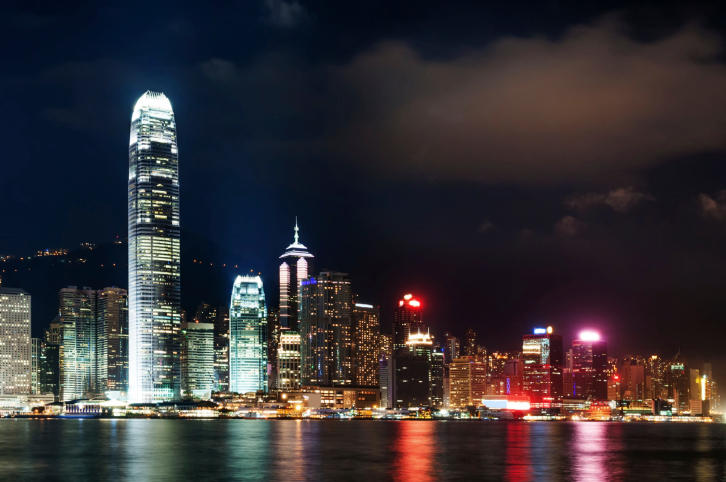 If you’re considering setting up a representative office in Hong Kong, you may be wondering how to begin the process or how your new office will benefit your business. In most cases, there are two main reasons why companies choose to use a Hong Kong virtual office. Typically, the company cares to do business for only a limited amount of time in the city, or the company wants to increase their prestige and visibility by adding another professional address to their company name. A Hong Kong virtual office is a great solution, as it allows your business to keep expenditures to a minimum. Here are answers to some of the most common questions that business owners have about setting up a Hong Kong virtual office. What Are the Benefits of a Hong Kong Virtual Office? Hong Kong is a well-known and respected business hub not just for Asia, but the whole world. It is considered the number one base city for companies that want to conduct business in Mainland China and around the region. Hong Kong has a world-class business infrastructure with an efficient and convenient local and regional system of transportation, world-class telecommunications and connectivity as well as a world-leading sea and air cargo system. As well, Hong Kong is one of the most tax-friendly economies in the world due to its policies like a profits tax cap, a low income tax and low property tax. In terms of networking opportunities, the city hosts scores of exhibitions and conferences that connect entrepreneurs, CEOs and major executives. Simply having an address in Hong Kong shows that your business means business. Another important feature, exclusive to Hong Kong (over Shanghai, for example), is that you may be able to register your company within the city in order to take advantage of various tax savings. What Can I Expect To Pay For A Hong Kong Virtual Office? It's important to note that office rent in Hong Kong and Shanghai is among the highest in the region. The cost to own or lease a space in this esteemed area can be staggering, making a serviced or virtual office a desirable method of establishing roots in the area. The cost of your Hong Kong virtual office will depend on several factors. The amount of space required, in addition to added services such as cleaning and virtual receptionist services, will factor into your bill. However, when you consider the added value of sound insulated meeting rooms, a completely furnished space, and full technical support and connectivity, the allure of a virtual office versus buying or leasing space is obvious. How Do I Book A Hong Kong Virtual Office? Often, booking directly through a vendor will help you get a better rate than a booking agency. However, it's always best to get as much information on the space before you book, such as viewing an actual floor plan of the office. What may appear to be a good rate may be influenced by the fact that your space is considerably limited. It's always best to work with a company that can address your specific requirements for space and your budget in order to avoid unnecessary costs. Having a foothold in the prominent Asian business market may be exactly what your small to mid-sized, established or start-up company needs to raise its profile. A virtual office is a great way to expand your business to an international market without breaking the bank. To get more in depth information on how to secure a booking or what benefits a virtual office in Hong Kong can provide, visit us at https://www.yourcityoffice.com today. In the business world, office chairs are highly important. Depending on your exact job duties, you will be sitting in an office chair for numerous hours each and every day of the working week. Throughout the decades, more and more research has been performed on office chairs, and research confirmed that sitting for long hours every day resulted in back pain and problems with the musculoskeletal system. This obviously spurred a widespread demand for better office chairs that were more ergonomic in nature. Here are the four top office chairs that you should consider if you sit for hours on end each day at work. When this office chair was released, it ushered in a new era of ergonomic comfort. This style of office chair is quite pricey; barely any model is available for less than $1,200. You may find a great deal if you purchase from either office supply stores or from suppliers directly. This is one of the most popular chairs for office use, and some companies are actually ordering them by the hundreds for their employees. While not a particularly sensible name for an office chair, the Steelcase Leap delivers when it comes to ergonomic comfort and support. This is the office chair to get if you are willing to sacrifice some style points and look for a more affordable deal. 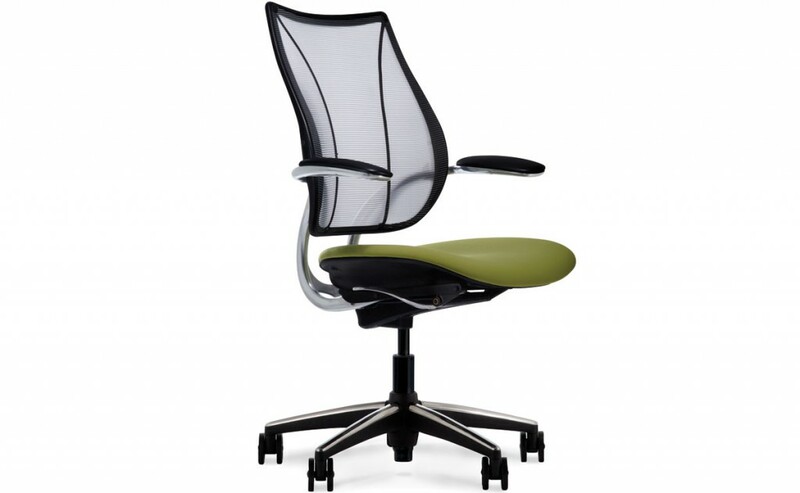 Somewhat of a task chair when compared to other office chairs, it features many customization options and a breathable foam padding that actually airs itself out via special slots. For you, this means the practical benefit of reduced heat during long hours sitting on the job at work. This is the company's next-generation office chair. Taking a more contemporary design approach, it really focuses on back support, making for a very comfortable office chair. To wit, its back is capable of being independently adjusted, so you can have its back in a different position than its base and arms. Still, it's a relatively expensive model, with prices going up to the $1,500 range. This line of office chairs was invented mainly to deal with complaints from people who had to sit in their chairs at work for extended periods of time. As a result, it has a very interesting design that won't win any style awards anytime soon, but what it lacks in looks, it makes up for in ergonomic benefits. It features independent control over its seat height, rocker tension, arms and headrest. These are the four best office chairs that will do you a world of good if your job calls for lots of sitting every workday. In the business world, you can't escape the requirement to put in time at a desk, but you sure can make it easier on your health by investing in any one of these office chairs. Thinking of setting up your virtual office in Mumbai? India is a burgeoning force in the business world with great quantities of human capital, affordable labour and quality business accommodations at reasonable rates. With a growing population of English speakers, India has rapidly taken over labour jobs from the Western world and has a growing technology and customer service sector. In short, India is a great place to do business and Mumbai is practically the epicentre of opportunity where India is concerned. When conducting business in a foreign land, it's important to observe proper business etiquette when interacting with local officials, businesspeople and customers. 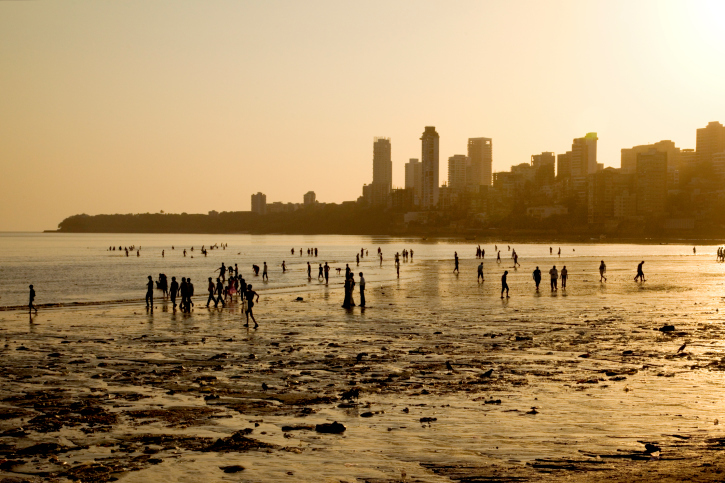 If you're not familiar with conducting business in India, read on for a few cultural tips on conducting business from your Mumbai virtual office. Understanding the basics of manners and customs in Mumbai is the first step to doing business there successfully. Learn to recognize names and what they can tell you about people - someone named "Singh" is always a Sikh (along with most people wearing traditional turbans), the name suffixes -jee and -kar denote high class families, and most people named "Patel" are part of the working class. When exchanging business cards, put the card away carefully instead of stuffing it into your pocket. You may also want to translate your business card into Hindi on the reverse side. The idea of hierarchy is a cornerstone of business in India and is closely adapted from the caste system that has divided Indians into distinct classes for centuries. This strict hierarchy defines the roles of individuals both in societies and in a business setting. While you may envision companies where role players of all pay grades work together, here all workers have a strong sense of social position. Within some companies, menial tasks like changing a light bulb may take hours to complete because nobody will do this task except the "gofer" who might be busy when the bulb needs changing. Understanding this important dynamic is important when employing your own workers or working with other companies. While Western business is heavily focused on transactions, business in India is centred on relationship building. You can expect to find companies that will turn down potentially lucrative partnerships and offers based on a lack of trust. The network of top businesses in India is small and exclusive, but if you can gain access to it you can achieve a lot. Good working relationships are based on demonstrating a strong business ethic and will to do business, as well as the ability to display trustworthiness. Following these tips is a great way to get started doing business through your virtual office in Mumbai. Your City Office offers competitive rates for virtual offices in Mumbai. Our highly customizable packages ensure that you pay only for the services you want. You can visit https://www.yourcityoffice.com/virtual-office-mumbai.php to learn more about how to open your own virtual office today. Starting a new business is never easy. The endless parade of administration, promotions, and legal requirements is often compounded by a lack of capital. Startup businesses seldom have the staffing or funding necessary for a twentieth-floor Madison Avenue office. If you're looking to keep overheads low in order to grow your bootstrapped startup business, a virtual office is the perfect solution. Among the many perks of a virtual office is a professional atmosphere that can rival the appearance of any established business. A virtual office allows a start-up to have a commercial address, lending start-ups the credibility of having a physical office location and the privacy of keeping home and business addresses separate. When face-to-face client meetings or partnership negotiations are necessary, a virtual office provides meeting rooms that can present a clean-cut corporate image. This professional image - much sought-after by startup businesses - can translate to major gains in sales and client retention. In addition to a strong appearance, most virtual office companies offer a number of professional services such as call answering, manned reception, administrative support, and videoconferencing tools. These resources, generally only available on big budgets, can benefit small businesses in a virtual office setting, making it easier for startups to hold their own against larger competitors. In a tough economy where more than half of all startup businesses fail within five years, it's difficult enough for new businesses to gain a foothold. For a bootstrapped startup business, any tool that levels the industry playing field is a valuable tool indeed. Perhaps the most appealing feature of the virtual office is that it costs a fraction of the price of a physical office. When renting out a physical office, a business is responsible for paying for rent, heat, hydro, Internet, and running water - even at night and on weekends, when the building isn't in use. A virtual office, in contrast, often houses several different businesses, meaning the cost of rent and upkeep is shared. Each business only pays for the time and resources they actually use. In a traditional office building, a business must have receptionists and janitors on payroll. In a virtual office, the building owner bears this cost - a cost that is then shared among multiple corporate tenants. Businesses A, B, and C may share a floor in a virtual office, so each individual business pays a fraction of the cost of renting out the entire floor. Furthermore, Businesses A, B, and C may only need the office space from 9 in the morning until 5 in the afternoon. Businesses D, E, and F may then rent out the same space from 6 at night until 2 in the morning, and do business with clients twelve time zones away. Therefore, a virtual office is available at a significantly lower price than a traditional office. A virtual office is the perfect solution for any cash-strapped business. It provides a professional appearance and corporate-level resources at a low price. If your startup business is looking to cut overheads, a virtual office may be the perfect solution. Virtual offices offer compelling services such as call answering, mail forwarding and fax-to-email. Despite the allure of these modern conveniences, which cost a fraction of what it costs to run a traditional office, it still makes sense for workers to get up from their office chairs from time to time for a bit of exercise. Here are five tips to help employees defeat excuses and actually get a productive workout during the lunchtime period. Walking is a great way to sneak in some invigorating, calorie-reducing exercise during the lunchtime period. Fortunately, there are lots of ways to make walking a normal part of the workweek routine. For instance, people who like to eat out can walk to restaurants or food trucks that are far enough away to get in a brisk workout. The great thing about walking is that workers can choose the duration and the pace to fit their abilities and their needs. With the right high-intensity interval exercise regimen, workers can get a good workout in a relatively short period of time. High-intensity interval workouts include alternating periods of brief intense anaerobic activity with recovery periods. This sort of workout will help people to burn fat and, since it won't take a whole lot of time, people will still be able to enjoy some of their lunch break doing other things. For best results, workers should check out the fitness centers near their virtual offices to determine which ones offer high-intensity interval training classes. By doing supersets, workers can increase their calorie-burning potential over a short period of time. The supersets workout is accomplished by combining multiple exercises, done alternatively with zero breaks in between, to target either specific muscle groups or different muscle groups. The reason for doing supersets is that, due to the fact that there are no breaks in between, you can burn a lot of calories over a shorter period of time. So a short lunch break need not be an excuse for being inactive. There's nothing quite like jumping rope as part of a fast-paced cardio routine to get the heart rate up. Skipping rope for even a short period of time will break the routine of sitting in a cubicle and will help to burn off a few calories. All people need is a jump rope and a bit of space to get going. 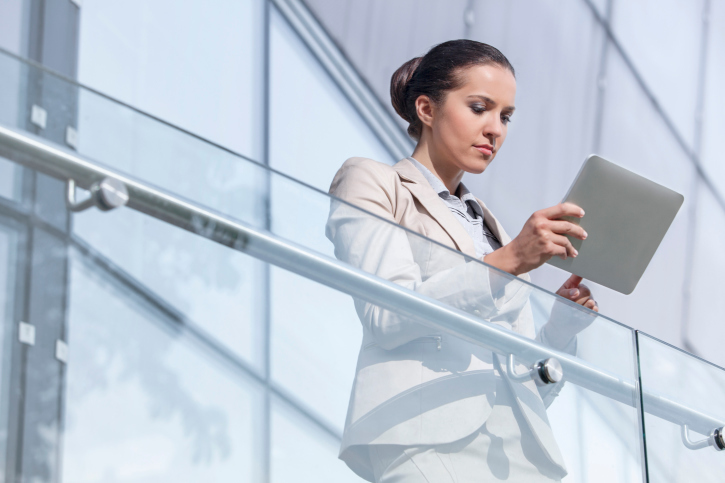 People working in virtual office spaces with staircases can get a quick workout by walking or running up or down the staircases. That will definitely get the heart pumping and the body reinvigorated. To make it even more fun people can do the stairs workout with colleagues during their lunchtime period. So put on some running shoes, bring some water and head for the stairs! While it can sometimes be difficult to find the time to get in some exercise, there are some easy ways to get a good lunchtime workout. Trying any or all of these five tips will help you and your coworkers achieve your fitness goals. For more information about our virtual offices, visit us today at https://www.yourcityoffice.com. It just might be the biggest trend in the business world today: Working from home. Between 2000 and 2010, 1.7 new telecommuting positions were created in the USA alone. What's more, this trend is being led not just by small businesses and startups, but also by Fortune 500 companies. Today, companies like Microsoft, IBM, and American Express are seeing more and more of their work done by people who are not sitting in the office at their desks every day. So why are these major global corporations changing the way they do business? Below are some of the top reasons. Recent studies have found that employees who work from home or a remote location are able to increase their productivity levels by up to 40 percent. These studies have also found that both employees and managers feel more satisfied with productivity rates that come from telecommuting than productivity rates in the office. For a business that is focused on results, this is a no-brainer. Employees get more done at home than at the office, so why not let them telecommute once in a while? One of the reasons that telecommuting increases productivity is that it also reduces the rate of health-related absences. Giving employees the option to work from home means that they don't have to worry about passing on illnesses to co-workers when they get sick. Furthermore, many business owners have found that often people who call in to work sick are not really struggling with illness; rather, they are dealing with a whole host of other problems, including family issues, personal needs, and stress. The option of remote work allows employees to deal with these types of problems without having to miss a full day of work. On top of increased levels of productivity, studies have also shown that employees who work remotely are more satisfied with their work life. In fact, many employees actually value the option to work from home more than they value an increase in pay. From avoiding the stresses and expenses of the daily commute to having more time to spend with one's family, the benefits of telecommuting for employees are numerous. For managers and business owners, this increased rate of satisfaction translates into better relationships with employees, as well as lower rates of employee turnover, which means that you save on hiring and training costs. An added benefit of remote work is that it is good for your business' carbon footprint. Another recent study has found that employees only commuting to work half-time could reduce carbon emissions by as much as 51 million metric tons a year. This makes remote work a good model for business that are looking to appeal to eco-conscious investors, as well as for people who simply want to run their own businesses in a way that's more environmentally friendly. The main reason that so many Fortune 500 companies are allowing their companies to telecommute is because telecommuting works. More and more studies are identifying the benefits of this emerging business trend. With all of the facts and statistics pointing towards its success, it looks like this is a trend that's here to stay. Running a business is no small feat, regardless of the size or scope of your company. If you're working in a new city and your business is stressing you out, consider a virtual office to find some relief. With upscale business addresses, meeting rooms and virtual services available, virtual offices help your business transition smoothly into any new market space. Getting established in a new place can be stressful, and finding the right office space is an important decision for a business. Use a virtual office until you understand the workings of the city, and find an office space that properly suits your business. Rushing the search will only add stress to the transition, and could lead to rushed decisions. Virtual offices also offer mail services so you can ensure that your mail is taken care of when you're in transition between addresses. Day to day operations include a number of business tasks for small business owners and entrepreneurs. When settling into a new city, answering the telephone can break up thoughts and tasks, and hurt your productivity. If you're working toward an important deadline or busy getting organized, let someone else answer your calls. Some virtual office spaces offer reception services that take care of the phones, and take messages when needed. If you're stressed out about upcoming meetings, virtual offices can offer you professional meeting space to impress investors and close clients. Upscale virtual offices are a growing business trend, and can be found in many cities around the world. Reception staff will help greet appointments, and you'll be able to make a solid first impression. Having a virtual office in a new city will allow you to easily book meeting space as it's needed. There's no need to put off important business until you're settled in your own bricks and mortar building – with a virtual office space, you can book fully staffed professional meeting rooms on a pay per use basis. If your business is growing and you're looking for a transitional space while you expand, consider a virtual office. This is a great way to get your foot out into the business world, and is much more cost effective than taking on a lease or mortgage. You can unite staff from any Internet connection, and have a reception service handle all your business calls. It's a good way to obtain a prestigious address and business image without having to spend a ton of money. Virtual offices help take some of the stress out of working in a new city. By allowing your virtual receptionist to handle the phone, you can focus on more important tasks. Without the stress of high overhead expenses, you can have a professional mailing address, virtual services and impressive meeting space the day you arrive. 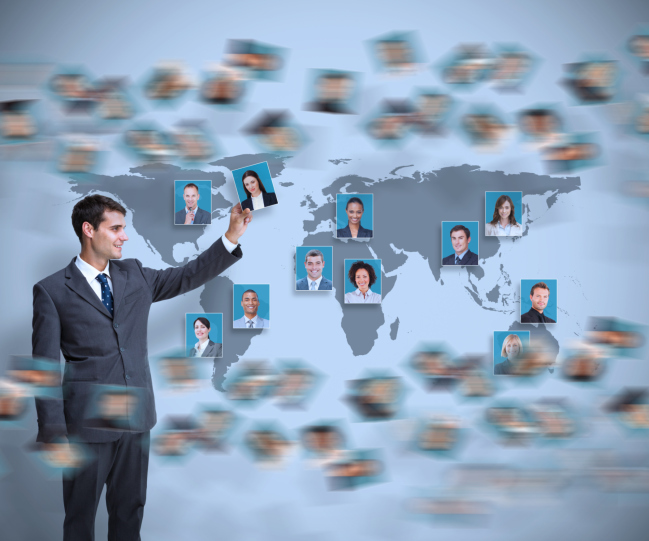 You can organize your staff remotely, but have them all reachable from your virtual office. Visit YourCityOffice.com to find a virtual office near you, or to learn more about this popular business trend. Lyon is the third largest city in France, but it is the city with the second largest metropolitan area. Lyon is bustling, and there is always something going on; it is the place to be. Known for its beautiful architecture, incredible history and delicious array of gastronomic treats, Lyon is unlike any other city in France. Lyon is home to a variety of events and festivals. It has a robust economy and its climate is mild. The city is also a strategic gateway to northern and southern Europe, which could help you expand your business even further. Lyon is just a quick trip away from Switzerland, Italy, Germany, Spain and Corsica. Lyon has lots of different districts, all of which could be suited for your business' virtual office. If your business is looking for a picturesque, historical area, look into a virtual office in the Fourier Hill area. Vieux Lyon is another district that is beautiful, as it is situated right by the Seine River. Presqu’île is the district to set up in if you want to be in the heart of the bustling city, while Part-Dieu is the main business district. Depending on the kind of business you have and what you're expecting from your virtual office, Lyon can cater to a variety of different business needs. Unlike Paris, real estate in Lyon is far more reasonably priced. While you will already be saving money just by having a virtual office as opposed to a permanent office, you will save even more by renting a space in this city. In addition to this, Lyon's economy is established and diverse. Lyon is home to chemical plants, pharmaceutical companies, medical research companies, IT companies and large banks. As you can see, no matter what your business specializes in, there is a place for it in Lyon. If you want to expand your business in a different city or country, a virtual office is a great way to do this. If you're unsure of where to set up, consider the city of Lyon in France. This city is bustling and vibrant, and has a lot to offer. Your business will flourish in this city, and you'll enjoy the culture and atmosphere. When it comes to life in general, we understand that perception is everything. The way in which you perceive a particular event, person, or place comes to make up your reality and experience, and the same is true when it comes to business and building client relationships. Since we know that perception is reality, and we know that the way our potential clients perceive our business will significantly affect the success of that relationship, as well as our business success as a whole, we should tailor the first impression our business makes in order to make the best first impression possible. Here's why a professional telephone answering service should be one of your highest priorities for your business. An incoming phone call from a new client or customer means one thing: more business! The customer who is making first contact over the phone has likely looked up your business online, and has perhaps read online reviews to prompt them to make the call and inquire more about your products or services. With this in mind, you want to be sure that the first impression the customer receives from your business is a positive one, and one that will lead them to choose your business over a competitor. Once your business has gained the trust of your new customer or client, it's important to ensure that you maintain that trust to help build the new customer relationship. Opting for a 24-hour professional answering service will ensure that your customers receive the same service they experienced on their initial call, and will always be able to make contact with your business. Even if the customer has to leave a message with the Virtual Assistant and wait for a call back from you, the fact that they are always able to get through and make contact will help to build and develop trust based on consistency and reliability. These are two significant assets for any business to have, and a great way for a business to be perceived. 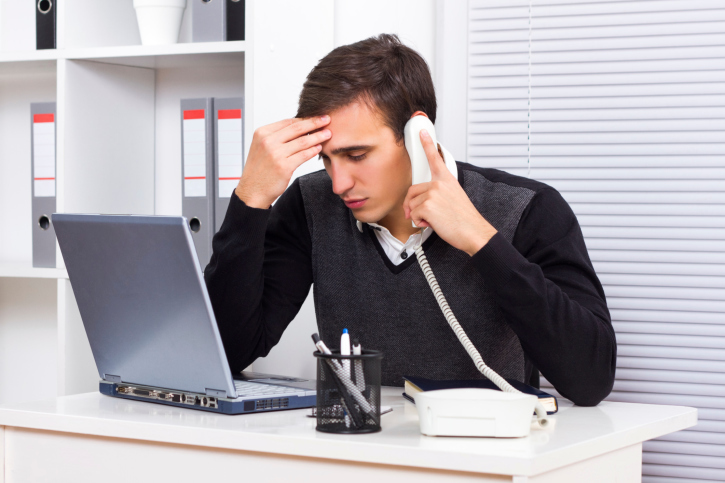 Not having a professional telephone answering service to handle the incoming calls to your business can be detrimental, especially if you're taking the calls on your personal mobile phone. Perhaps you pick up a call from an unknown number, expecting it to be a personal one, when you realize it's business-related. You have a new - or potential - client on the phone, and you're out at a summer barbecue with friends. The unavoidable background noise will undoubtedly be made apparent to the client, as well as your unprepared and unprofessional demeanor. Having a professional answering service will cut this mistake out altogether, and will ensure that you're always prepared and in a quiet space for the call. When it comes to first impressions, reliable communications, and a professional tone, you want to be sure that each of your customers perceives your business as a solid investment of their time and money. Telephone answering services, as simple as they may seem and as cost-effective as they are, could be the differentiating factor when it comes to making or breaking your business. For more information about telephone answering services for your business, visit us at https://www.yourcityoffice.com. The "suitcase entrepreneur" (which is someone who can run their business from anywhere in the world), has become the new ideal for many modern-day business people. Today's top entrepreneurs are not sitting behind desks in crowded offices, but running their businesses out of their backpacks while they spend time traveling, being with their families, and simply enjoying life. If you want to live the life of a suitcase entrepreneur, there are hundreds of helpful books out there to help you get started. In fact, navigating your way through these books can sometimes be as challenging as starting your own business. To make things a little easier for you, here are three-must read selections to get you on your way to suitcase entrepreneurship success. How many business professionals out there feel like they work too much and don't make enough? Chances are, this definition applies to most people in the business world. For those seeking a solution, Sam Carpenter has provided the remedy. Carpenter shows his readers how to re-orient their view of the world around them, and how to apply that new vision in a way that benefits their business. The idea is that instead of being overwhelmed by life, we can organize our perception into tidy linear systems that we can work on piece by piece. Instead of being beat by the system, Carpenter shows how we can take control of our lives and "work the system" in a way that works for us. Author Chris Guillebeau aims to provide a blueprint for people who want to become "unconventional entrepreneurs," or entrepreneurs with no particular skill or business history, and who build thriving business on tiny investments, usually being less than $100. In spelling out this blueprint, Guillebeau goes through 50 case studies of businesses that were founded on tiny investments and that now earn $50,000 a year or more. This is a book for anyone who wants to turn their passion into their paycheck. Using personal stories and step-by-step instructions, author Timothy Ferriss shows readers that in order to live the kind of life you've always dreamed about, you don't have to be a millionaire - you just have to eliminate all of the clutter in your life and maximize your productivity. The basic concept of the book is what Ferriss calls the "80/20" principle: 80 percent of your productivity comes from 20 percent of your time, and the other 20 percent of your productivity eats up 80 percent of your time. From setting goals, to eliminating distractions, to outsourcing your life, to increasing job mobility, Ferriss provides a user's manual for living life the way you want to. Each of these books embraces new ways of doing business, and together they show that you don't have to be rich and famous in order achieve your ideal lifestyle. With the help of books like these, you should be able to maximize your productivity, get out of the office, and live a fulfilling life as a modern-day "suitcase entrepreneur." Moving to a new country isn't always an easy task, especially when there is a language barrier. Often, however, it is just the decision you need to make in order to further advance your career, your business, or your personal development. Working in China can quickly provide opportunities to develop all three aspects, especially if you are able to work from a virtual office. If you're planning a move to work from a China virtual office, consider these three mobile phone apps that will make the process that much easier. If you're an Android user, you're in luck. Download the free Chinese Translator/Dictionary app, developed by GreenLife Apps, in Google Play and have a built-in translator and dictionary for English to Chinese and vice-versa. This app requires an active Internet connection, and gives you a “word of the day” so you can slowly build your Chinese vocabulary. This app also stores your translation history so that you can keep records of the words you've learned, and utilizes voice recognition for both the English and Chinese languages. Once you arrive in China, you'll be surrounded by symbols you can't even begin to comprehend. Whether you're sitting down in a restaurant for a meal or out shopping for a new pair of shoes, CamDictionary is an iPhone app that allows you to translate written Chinese symbols by using your iPhone camera. Simply point your iPhone at a Chinese symbol and watch it magically translate to English. The app comes with the option to translate between 54 languages, and Chinese to English is said to be one of the most efficient. Users can download a free trial of the app, which offers a limited number of translations, or they can opt to download the full, unlimited version for a reasonable cost of $4.99. Waygo is an iOS app that works on the same basis as CamDictionary, using the iPhone camera to translate Chinese symbols to English. The latest version 3.0 overhaul, however, has integrated another system that actually teaches the user how to read Chinese symbols. By using the pinyin of the Chinese character in conjunction with the English translation, users can actually make long-term progress in learning the Chinese language while overcoming short-term language barriers. Though Waygo also has a free trial with a limited number of translations, its latest and unlimited version 3.0 costs $6.99 in the app store. Although this might be considered a little expensive, the reviews suggest it's certainly worth the price. Having the benefit of technology at your fingertips is an advantage we are beginning to utilize more and more each day. Especially when traveling, translation apps have come to serve a very valuable role in the communication we must make on a daily basis. With these apps, you can bring down language barriers and integrate more efficiently into the Chinese culture of your new virtual office. For more information on our virtual offices in China, visit us at https://www.yourcityoffice.com. If you're running your business from a virtual office, odds are you'll be making a lot of virtual sales presentations rather than meeting with people face-to-face. In this type of situation, many of the principles you use to develop your presentation will be the same, but there are also several new elements to be aware of. You may have a sales presentation that works wonderfully in person, but in order to achieve success in the digital world, you need to make sure that your presentation is properly adapted for the online sphere. Here's what you need to do to master the art of virtual sales presentations. Whether it's Skype, WebEx, or a phone call, you need to have a mastery of the technology you're using for your presentation. Technology can be a great tool, but if it's used improperly, it can become a major distraction. There's nothing worse than losing your Wi-Fi connection in the middle of a Skype call and missing your opportunity to connect with a new client. Instead of falling victim to technology, you need to be prepared for the worst. Have a backup plan for every technology issue that could go wrong. If you're using Skype, make sure you have a strong Internet connection so that your audio and video feeds aren't interrupted. Sometimes, it's best to eliminate pieces of technology that could potentially pose a problem. Screen sharing can be useful, but if someone's computer isn't up to the task, this activity could end up leading to more problems than solutions. With a virtual presentation, your audience is even more likely to become bored or distracted than in a face-to-face presentation. Don't leave room and provide your audience with an opportunity to start checking their email or chatting with a co-worker; hook them in to presentation right from the start. Instead of starting off with a long, rambling introduction where you summarize the main points of your presentation, start off with something provocative, different and exciting. Tell an engaging personal story, use a shocking statistic, or ask a thought-provoking question. Do something to keep your audience where you want them: focused on you and your presentation. In order for your audience to follow along with your virtual sales presentation, they need to know that you are in control of the presentation and that your presentation has a clear purpose. Don’t leave your audience with the opportunity to ask themselves questions like: "How long will this take?" "What's the point of this presentation?" And "When do we get to ask questions?" Instead, show your audience that you are in control of the situation by telling them up-front what is going to happen when. State your goals clearly, lay out the agenda in advance, and leave lots of room for questions. This way, your audience always knows what's going on, and what's coming up next. Virtual sales presentations are not easy. Most sales and business people have much more difficulty with this format than they do with traditional face-to-face presentations. This is why it's so important for you to see virtual presentations as an art form, and to master that art form. Once you do, you'll be above the rest of the crowd. Social media is here to stay, and marketers are using this outlet more than ever. Almost everyone is doing it, and it's clearly working. That doesn't mean however, that it's a good investment for every business. When choosing online marketing strategies, make sure you're making the best of your social media marketing efforts. Time is money, and social media marketing is a strategy that requires daily activity. An account is quick and easy to set up, but establishing a following requires time and attention. 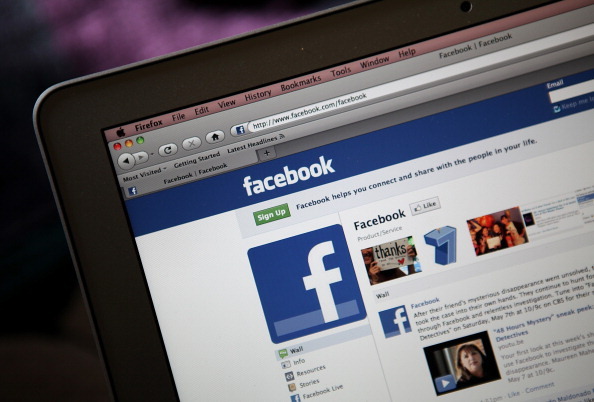 If your time is better suited elsewhere, you may want to leave Facebook idle. If you can't afford the funds to hire a social media marketer, don't pour your time and money into social media marketing. Use Facebook to your advantage, and make sure your business is visible on the popular social media platform, and occasionally do some updating and maintenance yourself. Ads and marketing can become expensive, and if "likes" are not translating into dollars, it may be time to turn your attention elsewhere. The opportunity for publicity is everywhere, and it's best to not get bogged down with a single strategy. Although Facebook is a billion dollar business, it may not help turn your business into one. Other social media platforms are commanding and converting sales as well. It would be stale thinking to limit yourself to Facebook. Instead, look into different social media options, and explore other successful inbound marketing strategies. Facebook may be the poster child for social media, but it may not be the most effective place for every business to promote itself. Different demographics are best targeted in different places. Study the statistics, and make sure that Facebook is the best place for your business to establish a fan base. You may be better off turning your attention to other forms of inbound marketing, or focusing on other media platforms. It's quite possible to have a large following on Facebook that ends where it starts. If your page is not converting "likes" into customers, it could be due to poor quality leads. Facebook is flooded with "like" ladders and other schemes that pollute the marketing process. Quantity counts for nothing when quality doesn't exist. Don't waste advertising dollars on cheap "likes" from people who won't help grow your brand. Directing traffic to your own website is a more effective marketing strategy than directing traffic to a Facebook page. Sending users to your own website through advertising will increase your website's rating, and yield better results. When posting content online, your business should be directly benefiting from the content. Content posted on a company website will help drive traffic and improve the site's SEO value. This can be done through blogging, posting current and relevant content, and with paid ads from media and Internet sources. Facebook, like other popular social media, has become an outlet of opportunity. It is not however, the only successful strategy that works. Make sure you're getting the best for your marketing dollars and choosing marketing strategies that engage your target market. If you're looking for a professional space to discuss your next marketing move, visit us at YourCityOffice.com. With YourCityOffice, you can utilize our polished professional spaces to project your business' future in the best light possible. Content marketing is a smart, affordable method for small business owners to promote their products and services. Simplicity is at the heart of content marketing (which is just a fancy term for promoting a business with information). Marketing a business by providing desirable information targeted to a specific niche or audience has become popular in recent years. In the internet age, it's a logical conclusion for what happens when the DIY ethos, limited budgets and a simple publishing platform meet a global audience hungry for solutions to their problems. The internet is the place everyone goes to find out more about a product or service before they buy. By providing answers to potential customers’ questions, a small business owner can begin to build a relationship based on expertise and trust. The more information your website offers to address the issues your potential customers care about, the more traffic and quality leads you'll attract to your site. If you offer visitors a reason to stay on your site and get to know you - with a free gift in exchange for your newsletter, for example - you can deepen the relationship you've initiated based on your proven expertise. Visitors to your website will gain the solutions to their problems and feel they can buy from you with confidence. 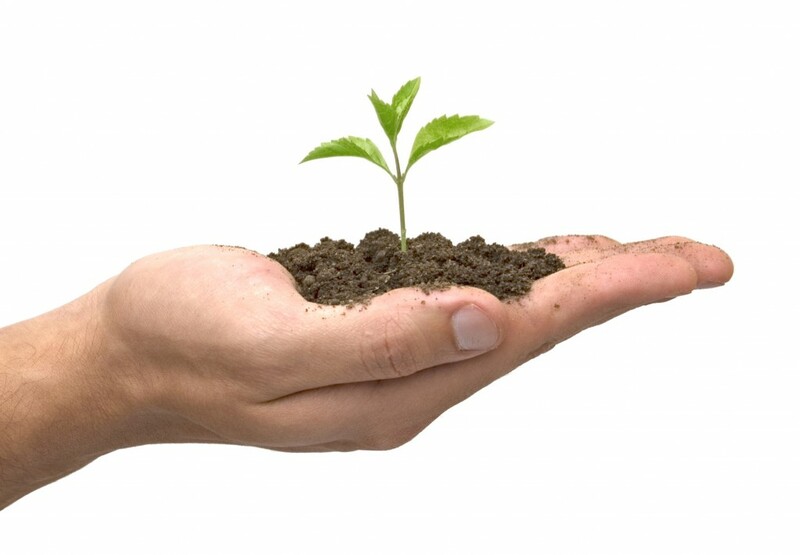 You'll in turn grow a bigger audience, which will lead to more sales and more profit. Some of the most common approaches to content marketing are blogging, publishing articles, and creating free information reports. A great starting place is to create a well written website that establishes what your business is about. After all, if someone finds your blog and wants more information, your website should be there to inspire confidence and reinforce credibility. With your website in place, you can establish a blog that addresses the problems that concern your customers. As an added bonus, the more frequently you update your blog, the better its rank in search engine results, which will make it more likely new visitors can find your site. Newsletters are another popular way to stay in touch with your audience, giving you another opportunity to provide them with helpful information. Many businesses offer a free gift in exchange for an email address - another opportunity to provide content that is relevant, useful, and desirable. As you start to collect subscribers to your newsletter, you'll develop a responsive audience to whom you can market new products and services, including paid information products. Start Your Content Marketing Campaign Now! If you are new to content marketing, blogging is the easiest place to get started. All it requires, in addition to an internet connection, is a plan and the time to implement it. Do a bit of market research before you start to find out the kinds of information your audience is looking for. Develop a content calendar on a schedule you can stick to. Then start writing, publishing and sharing! When it comes to running your business through a virtual office, the benefits are virtually endless. Not only are you able to benefit from the savings, you're also joining a group of "green" jobs and business models that are friendly to our earth. Managing a team of employees through a virtual office, however, means implementing certain tactics to ensure efficiency and accuracy. Here's a quick look at Toggl, an effective time-tracking app, and others like it that will help you accomplish success in this field. Toggl is a leading time tracking software that can be used on your desktop and on the web, as well as on your mobile device through the iOS and Google Play apps for iPhone and Android. Using the mobile apps, you have the power of time tracking software at your fingertips with the ability to log time and discover which projects you're spending most of your time on. You can do the same in group settings for your team of virtual office employees, and time tracking is free for groups of up to five people. Real time syncing between your PC and mobile phone makes the process efficient and easy, even when you're offline, and reports and time sheets make managing your team that much easier. Toggl's basic version is free, and the full feature version is $5 per month. If you're working alongside your virtual office employees to become more productive with your time, RescueTime is a time tracking app for your PC or mobile device that runs in the background and tracks the time you spend on various websites and applications. Available for both Apple and Android, the premium version - which is perfect for curbing that social media habit that seems to be eating up your days - costs $9 per month. Perfect for managing a team of virtual office employees on a remote basis - especially when you all have goal-setting in mind - My Minutes is an app available for both Android and Apple that is free and focused on setting and meeting goals. This app gives you free range to set your own goals - i.e. maximum time spent on email, or personal time goals such as working out - and keeps you in line when you're off-target. This app will instantly become your pal when it congratulates you for meeting goals. Managing your team of virtual office employees becomes much more streamlined when you're all working with the same software and the same goals in mind. Once you've bridged the physical gap involved in working remotely from a virtual office, you'll feel much more connected and on the same page with your employees, and much more like a team working together. For more information on all things related to virtual offices, including virtual office spaces available around the world, Contact us here. HootSuite has been in existence for some time, but even now, some individuals in the business world can’t see the usefulness of depending on HootSuite for their social media marketing. HootSuite is a social media management platform that helps different businesses manage their brand. Its user interface appears in the form of a dashboard, and supports integrations for Google Plus, LinkedIn, Facebook, Twitter and even MySpace. In short, HootSuite is an amazing productivity tool for everything you want to accomplish in today's social Internet environment. Below are a few reasons why you need to start using it to manage your social media. Twitter lists are there to permit you to group a bunch of Twitter users as you see fit. An organizational tool of sorts on the site, it allows you to speedily find people of interest and view their newest tweets. These lists may either be public or private to your Twitter account. If you've been keeping all of your contacts in your HootSuite groups, you will be prompted to eventually convert all of your HootSuite groups to Twitter lists. This will make your whole interface run a lot more efficiently. You can then share the lists with other people. You need HootSuite for your business and social media management since it permits you to see what your followers in your niche are up to. More specifically, it allows you to see exactly how the followers within your niche are interacting with any of your tweets. It allows you to track by region how much time and how many clicks your link receives in a Twitter social message. Then, you can even use this information by exporting it in CSV. If you like, you can also export it to a PDF. This feature even integrates customer URL parameters. Even small touches are very much appreciated when it comes to helping your social media management. HootSuite permits you to efficiently schedule tweets for the future. Now, you can also save any tweets you're working on as a draft. This is very similar to saving a half-finished email composition as a draft, which you'll later go back to in order to spruce it up and add the finishing touches. This feature is ideal for when you haven't got a link ready that you can use, or are otherwise unhappy with the tweet you're working on. These are all the reasons why you absolutely have to use HootSuite to manage all of your social media efforts. These days, running a business should automatically mean that you're working to actively build your social media profiles, which means you need an efficient system to help you manage it well. HootSuite is the perfect system for this, and it lets you streamline your tweets in such a way that you'll improve your marketing efforts. Why not use social media effectively instead of getting overwhelmed by it all? Freelance workers and entrepreneurs often get their start working out of a home office or garage. Many success stories start within the home, but rarely ever do they finish there. Working from home offers some great benefits, but also challenges many aspects of a person's productivity. Understanding these challenges will help paint a better picture for your business's future. It is possible to set up a well-functioning office at home. The productivity destroyer for many is not the office space itself, but is more likely what lies behind the door. Housework, children, and pets are notorious distractions that divert attention and kill focus. If you find yourself tending to your house instead of to your business, you are not likely fulfilling your business goals. This is equally true for parents and pet owners who are constantly being side-tracked by other inhabitants of the home. Even though there is no commute while working from home, there are other time eaters that can affect the day. People who work from home are often slower to get going in the morning, and may not be operating at full capacity as a result. There is something to be said for getting up and out in the morning. Facing the world and looking your best is something that many successful professionals swear by. If you are working in sweatpants with bedhead, it is likely that you are not coming to the office with your A-game. It is important for everyone to establish a work schedule and stick to it. People who work from home often have difficulties adhering to set schedules and because of this, productivity is compromised. The problem may not necessarily be the person working from home; it could be other people that know where they are. Friends and family mistakenly think that since someone is home, they are available during business hours. Defining availability (or lack thereof) is crucial if one wishes to be left to business. Meeting clients and prospective investors is common practice in the business world. Local coffee shops and bistros may be appropriate for some meetings, but not for all. Make sure that if you are scheduling meetings in your home, the home fits the image you are looking to project. A less than impressive home meeting might hurt your odds of closing a deal. Spending valuable meeting preparation time cleaning and staging is likely not the best use of your time. Working from home can be the right fit for some, but it’s not for everyone. Distractions can cut into productivity and, as a result, motivation can flounder. If you are looking to bring your business out of the home and into the world, a virtual office may be a fitting solution. Virtual offices can give businesses the image they are looking to obtain, for prices they can afford. For more information about this efficient business trend, visit YourCityOffice.com. A virtual office is an ideal way for you to add a work environment to your home to increase productivity for your at-home business. People Working from home face the challenge of being productive with so many distractions, such as the television, computer, food or a bed. That's why it is important to design your virtual office in a way that you are not distracted, and are instead able to benefit from a workspace that will allow you to accomplish your goals. When designing your virtual office, it is important to keep it away from as many distractions as possible. Many writers create an office tucked away in an open-concept attic, where they are free from noise from the family and the TV, for example. The more you can separate your home life from your work life, the better success you will find. Whenever you find yourself struggling to get to work because of a distraction, it is best to eliminate it as quickly as possible. The further away from the source of the distraction, the better. By setting up your desk only with items that are relevant for your work, you will be able to better concentrate on the task at hand. Items that aren't relevant to work, such as books that you are reading for pleasure, can take you away from the work that you need to accomplish. By instead putting an agenda on your desk, for example, you will better be able to put yourself into work mode and concentrate much better. The most difficult part about working successfully at home is being able to get into a zone that facilitates productive work. In order to get into that mode, you may need to have a schedule that keeps you on track. An agenda or a simple piece of paper, for example, can help you achieve that task. Without such devices, you may find that your mind is wondering. Placing your schedule at a prominent place on your desk will keep you on track every time your mind begins to wonder. Make sure to include on your schedule the times you hope to complete each task. While designing your virtual office in a way that in unimpeded by distractions is important, so too is setting limits for yourself and for your family. For example, telling your children not to bother you between certain hours will help ensure that they don't take you away from your work. Setting limits on your own conduct will also help to achieve the workload you set out to accomplish. When you take a break for lunch, for instance, only give yourself a certain amount of time to eat before returning to work. A virtual office can be a great way to cut costs. Make sure your productivity doesn’t suffer by following these simple tips.